If you are making your laminate flooring a DIY project, you might wonder what is the right direction to install my laminate flooring? When deciding the direction to install laminate flooring, you have to consider your space, lighting and decor. The best way to decide is to lay out the floor and visualize what looks best. Here are a few tips to help you decide. If you’re installing your flooring on a main floor, you will want to float the floor in the same direction throughout all of the rooms to create a cohesive feel. If you have a width wise open concept, run the flooring parallel to the longest walls. If you’re open concept is a front door to back door home, run the flooring straight from the front door to the back door. Another option could be identifying the main source of light in your space, and run the flooring perpendicular to the light. This is a great way to highlight the color and capture the texture of your flooring. If installing in a room with little to no natural light, run the floors with the length of the room. The length of the planks will make your space appear larger. Consider your dimensions – a floating floor should not run more than 40ft long or 20ft wide, and must be broken up at these dimensions. Be mindful of the wood grain, pattern and design of your floor. Installing in a certain direction can help bring out textures and colors! Follow these guidelines and you should be able to decide the appropriate direction. 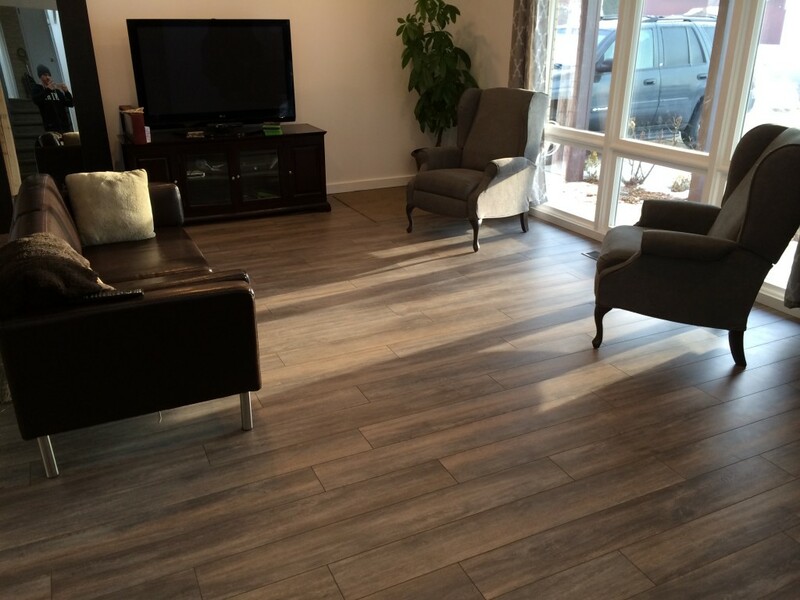 Just remember to visualize and take into consideration all aspects of your laminate flooring and space. 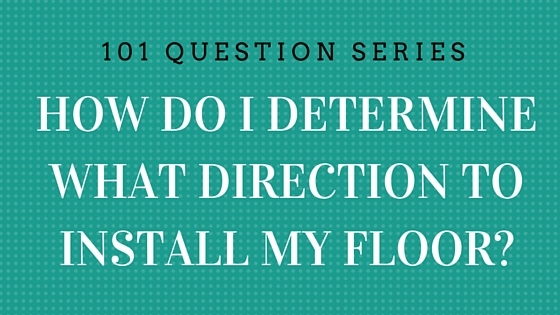 How should I prepare for my laminate flooring installation? How should I acclimate my laminate flooring? The guidelines here would almost always have one run the flooring pieces away from the window. Not only do most of these installations look funny to the eye of anyone familiar with real wood flooring but the orientation is unappealing. Add to the nature of the product and the laying a stripe of laminate 20′ or more feet long is almost impossible by the lone DYI’er. Laying the flooring by your suggestion here can distort the room visual resulting it what appears to be a narrow room when it is nearly square. I and a business partner have apartment buildings with exact floor plan duplicates. I lay my flooring best by eye way and she lays here according to these same rules picked up at the hardware store (from someone who does not install). Her livingrooms look narrower despite dimensions within inches. Whichever two walls are the shortest measure between are the two to which the flooring should go perpendicular. Who runs flooring the length of 8 hallway? Nobody. In the old days with real wood, the leftover short pieces went here. As for the look, if you buy cheap flooring no orientation or light source will make it look anything except cheap. Hi Allen, thanks for your feedback. We will review some of our images and add to this post. 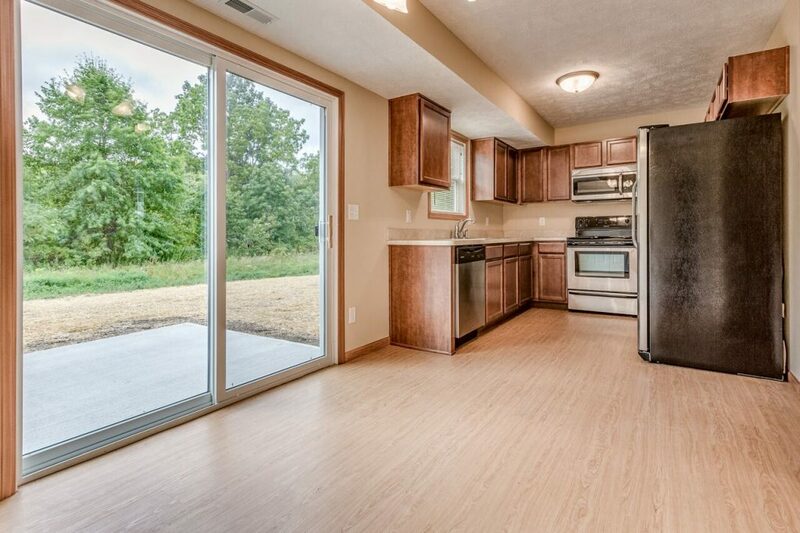 Your first picture has the flooring parallel to the window, not the light.. This floor is Perpindicular to the natural light. Hi Aaron, thank you for your comment. Looks like we need to update our photo! Thanks for pointing that out.